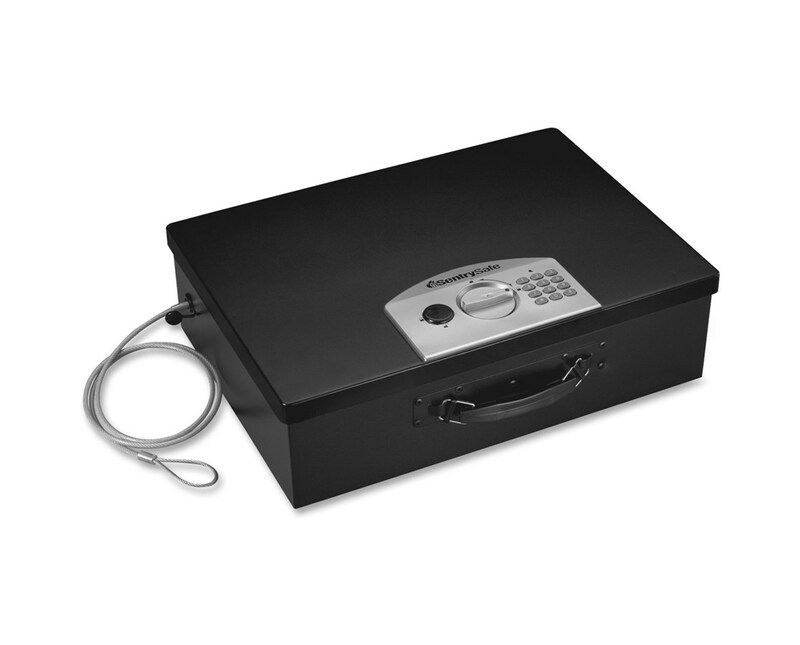 The SentrySafe Portable Safe With Digital Lock is a versatile storage box that can be easily carried or transported with the use of its built-in easy-grip carrying handle. 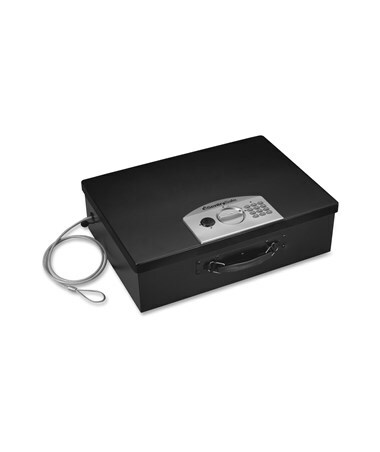 This safety box uses a programmable digital lock and an additional dual key lock for security. It has an option for a large-sized one, which can fit most laptops and includes a steel tethering cable for added security. The programmable digital lock allows users to choose their own combination or code and the dual key can be used to override the programmed code. 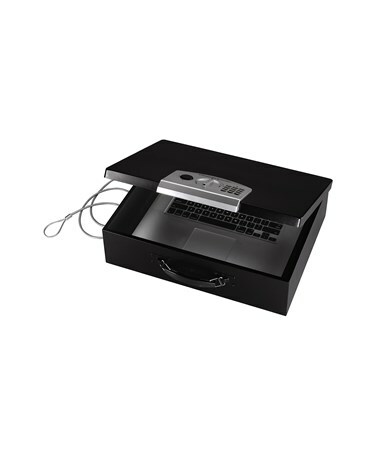 This digital safe also has soft interior foam which makes it ideal for securing laptops, tablets, cell phones, and other electronic devices. 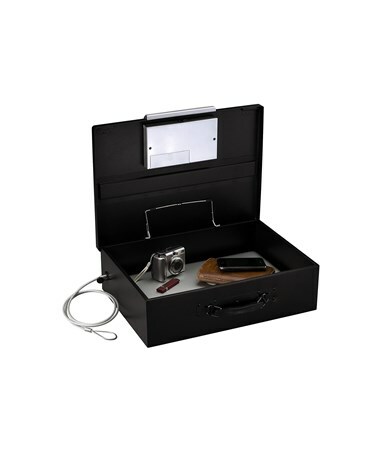 This portable safety box is made of solid steel, making it durable and reliable for saving important items. The SentrySafe Portable Safe With Digital Lock has options for size and style. Please select your preference from the drop-down list above.